You sigh: "I need to learn more about classical music." I hear: "I don't enjoy it as much as, or in the way that, I probably should. I must be missing something." I can relate. I feel the same way in a very different context: anytime I drink wine, anywhere, ever. I like wine. Love, even. (Love you too, toddler son!) But I am always haunted by the thought that I'd enjoy it more if I knew more about it. I feel self-conscious when others start dropping buzz-words like tannins. I wonder if I am picking up on the right (pun alert) notes. I constantly question my taste. Even in the privacy of my own home with my husband, I've noticed a telling pattern. After taking simultaneous sips, we look at each other before daring to utter our assessments aloud. It's like we want to read each other's opinions facially before we proclaim our own. The culture around wine is a lot like the culture around classical music. To be part of the in-crowd, there's a certain body of knowledge presumed. There's a special social status afforded to those in the know. And that breeds a notorious pretentiousness. Like it or not, and despite good intentions, wine and classical music cultures share the same kind of upper-class, intellectualized aura. The off-putting aroma of superiority suffuses both. I’ve been to tasting rooms up and down the California coast in which the sommeliers are clearly making a concerted effort to put amateur tasters like me at ease. They stress that there is no “wrong” way to taste. All the same, I can’t shake a certain unease. Perhaps it’s because there’s no getting around the fact that this well-meaning attempt at democratization is still coming from the mouth of a true expert. Which, when it comes to this subject, I most definitely am not. When one such well-meaning sommelier unflatteringly compared our favorite white to cat pee, I’d be lying if I told you this bleak assessment didn’t color our enjoyment of it from then on out. It didn’t matter that he concluded with a very sincere declaration that everyone’s tastes are legitimate. Don’t even think about it, Kitty. Naturally, this hasn’t stopped us from consuming Marlborough Sauvignon Blanc. It’s just that now we are, weirdly, almost looking for the cat pee in it. And we feel a strange mixture of defiance and confusion when, inevitably, we fail to detect it. It’s admittedly a bit of a buzzkill. Wine and music exist to enhance our enjoyment of life itself. As Warner Henry, one of LA’s most significant patrons of the arts, shared with me and Kevin: “wine is to taste as music is to the ear.” They're supposed to be fun! And they are, in large part, what make us human. Don't believe me? Science suggests that our simian ancestors descended from trees to gorge on fermented fruits. The theory goes that the creative juices the juice itself got going are what helped us to evolve. Yes, we've elevated both wine and music to the level of high art. Leave it to human beings to turn such universal, hedonistic pursuits as wine and music into a social-climbing staircase — complete with overtones of religious fervor! 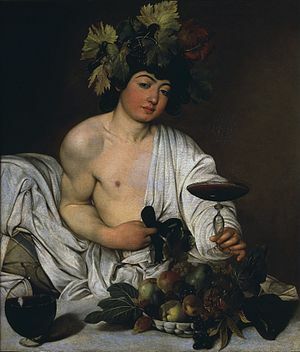 The Greeks created an actual God of Wine. And Catholics drink wine as a proxy for the blood of the son of God. Likewise, we glorify practitioners of high art as gods among men. I don’t mean to belittle the high craft and spiritual importance of these beloved human pastimes. And there’s no denying that experts in both fields “know what they’re talking about” in ways that the average consumer may not. But that shouldn’t stop the rest of us from enjoying them. Where I think we get into inevitable trouble is when the glorification of wine and music turns into an opportunity for us to signal our superiority to one another. It turns me off of wine culture, and it turns people (myself included) off of classical music culture. That doesn’t mean I don’t like wine. And it doesn’t mean others don’t love classical music. It also doesn’t mean well-meaning sommeliers at coastal tasting rooms shouldn’t try to make neophytes like me comfortable. In fact, it’s incumbent on them and the very sustainability of their business to do so. As a presenter of classical music, I can definitely relate to that. Let's take this wine:music analogy a little further. I posit that our preference for expensive wine is analogous to our preference for well-known music. Yes: people prefer expensive wine to cheap wine. Is that because it's inherently better? Well, not always. Science says it's because of how we humans ascribe value to things. If we are told, either directly or indirectly, that something is valuable, we are going to go with it. We don't question it. What’s more, the fact that others — or actual price tags — value something more makes us not only want it more, but also enjoy it more. This phenomenon plays out with trends of any kind. With popularity of any kind. With fame of any kind. If something’s good enough for someone else, it's good enough for us! What could be more basic than that? Blind taste tests are a really fun way to surmount this trick of our all-too-human brains. We're delighted and astonished when blind tasting reveals a preference for cheaper wine. As time goes on, we are ever more convinced by the arbitrariness of fame. One of my favorite social science experiments of all time is about human attention. Specifically: what we give it to, and why. A team of scientists instructed a graduate student to point up at the sky on a busy Manhattan sidewalk, shouting, "look!" When it was just the lone experimenter doing the pointing and looking, almost no one else looked up — likely attributing the experimenter’s outburst to sheer craziness. But as other experimenters joined in one by one, the general public looked up at an exponential rate. Simply put, fame is attention. Fame does not always happen (or not) because something deserves it (or not). Likewise, value is ascribed by people. We prefer the expensive wine to the cheaper one — so long as we know which is which. The question of how quality is defined, and how we agree on it, fascinates us. So we’re up to a little science experiment of our own to open the season. At October’s concerts, we’re asking you to sit back and enjoy a blind taste test of a label-less piece of music. Let’s explore the no-man’s-land between something of quality and something society values. Maybe our high opinion of the work will influence your reaction. But all the same, you won't be subjected to any of society's opinions about this particular piece or composer. Let your enjoyment come from your senses alone, without being subject to these value-ascribing tricks of the mind. See what you think and feel. See what that tells you about why this particular piece isn't more well-known. Then consider the social and artistic implications of this blind taste test. We're hoping you'll find value in the enjoyment and insight gained. Above all else, we hope you enjoy — plain and simple. After all, music is — like wine — for pleasure, for consumption, and for recreation. And we promise: we won’t serve you the sonic equivalent of cat pee.